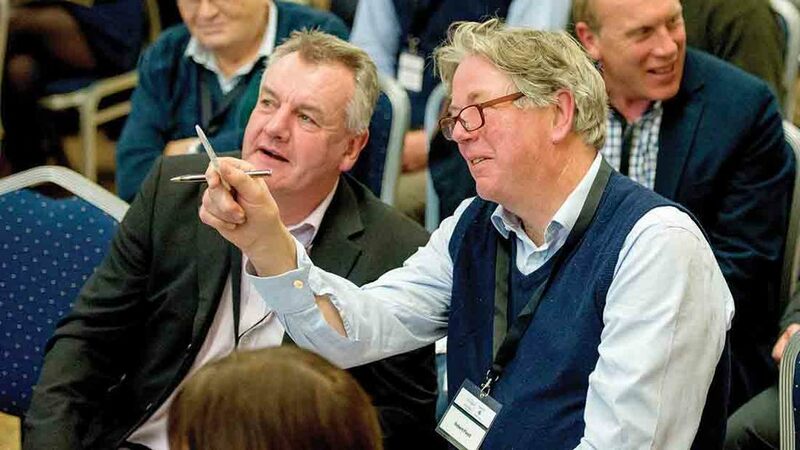 Farmers Guardian inaugural Business of Farming Conference saw nearly 100 delegates from across the UK convene in Warwickshire last week. Ben Pike reports. 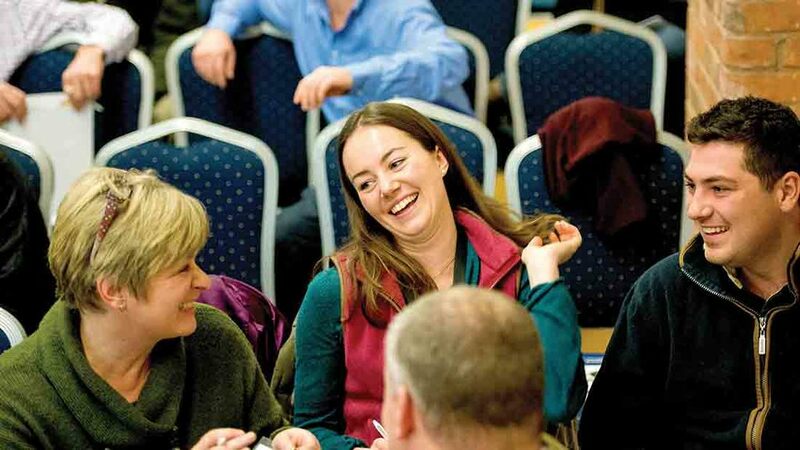 Farmers from across the UK came together to learn more about key challenges facing their business and how to begin to overcome them. Organised by Farmers Guardian and supported by Farmcare, the Business of Farming Conference was researched with a wide number of farmers, from all sectors and regions, who collectively identified the burning business issues they wanted to learn more about. Speakers challenged the status quo in a thought-provoking event which put forward practical solutions to the challenges facing the farm business of today and in the future. Tackling succession on his family farm was far from plain sailing for 25-year-old Doug Fleming. Farming with his father and brother across 312 hectares (770 acres) of owned and rented land in the Scottish Borders, a lack of communication hampered progress and raised tempers when the issue was first discussed. 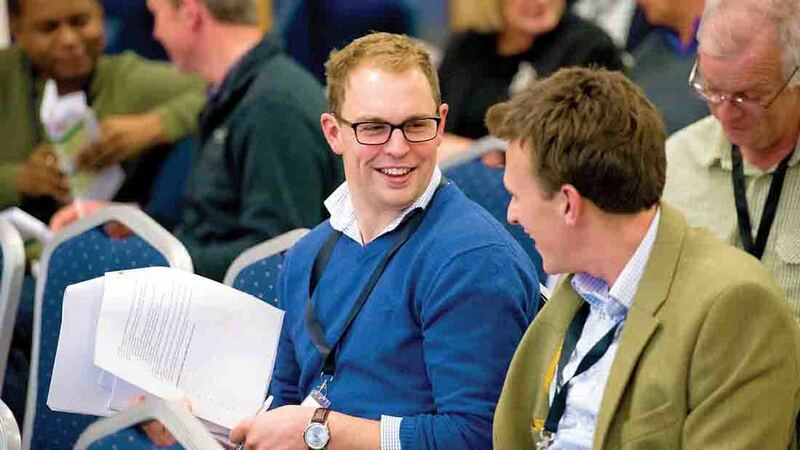 The turning point came when Doug attended a Scottish Association of Young Farmers Clubs rural leadership course. He met others who were in the same situation and took professional advice on how to approach it. He returned home and sparked an open conversation, which led to the realisation that all family members were pushing for the same thing. The main problem was that the business was not big enough to sustain the two brothers and their parents for the rest of their career and in to retirement. “In 2015 we developed some holiday lets and a biomass boiler – both will provide an income for the family in retirement when it’s all paid off. Doug believes communication was the key in overcoming the challenges as each and every one arose. Roger Mercer tackled succession early for a reason. “There’s a clear correlation between those who have a succession plan and the success of the business. Those doing the doing have to be in control of their own destiny,” said the Staffordshire farmer who manages a total of 11,000 acres in the UK and Australia. To that end Roger talked openly with his three sons – Robert, Alec and Tom – to form the basis of a plan when they were just teenagers. Now all in their 30s, Robert and Alec have started Packington Pork and Packington Poultry, while Tom set up on-the-go breakfast brand Moma in London. A detailed, complex model sees all parties have a stake in each others’ farming business but with free reign to make decisions on their own enterprises. Every year the family set aside a day away from the farm to discuss succession and update a family constitution which details how succession is to be handled. Roger said: “Everything has to be on the table – all goals and aims, even wills. Succession planning facilitator Sian Bushell says it is the responsibility of the older generation to start the conversation. “The fact you are not having that conversation is already causing upset, dispute and unhappiness in the family,” she said. She said that, anecdotally, one in four farming family members aren’t speaking to each other because of a fall out over succession. Attention to detail is one of the constituent parts of a successful bank loan application. Failure is often linked to farmers not being able to convince lenders they know their income and expenditure, said Paul Brough from Barclays Agriculture. “Phrases like ‘I think I need to borrow this amount’ scare me to death,” he said. Businesses should be able to provide details of their historic trading performance, outline the profit it has made and what is has done with those funds. And money set aside for monthly repayments should be at least one and a half times the required amount. Mr Brough said: “A key question is what is your break-even price is? How much wriggle room have you built in to your forecasts? Paul Brough says farmers need to ’paint a picture’ to a bank to show them how much money they need, why they need it and prove that they can repay it comfortably. Here are some of the credentials a lender will consider when assessing an application. Character – Do you understand the strengths and weaknesses of your business? Can you adapt to change? Ability - Are you a good farmer and are you good in business? Management – How good are you at managing your finances? If you want to expand, do you have the management skills to do that? Purpose – What do you want the money for? Does it fit your business strategy? Amount – Exactly how much do you want? Don’t just go for a round figure, tell us how you got to that figure and get estimates. Repayments – Can you afford the repayment? Are you generating sufficient profits to repay the loan comfortably? A financial dating agency linking farmers who need funding with rural lenders is being pitched as a new solution for short-term loans. Matt Waterfield from Folk2Folk said peer-to-peer lending matches borrowers and lenders with deals lasting a maximum of five years. Farm shops and other diversification projects have been among the projects financed in this manner since the company started in 2013. While based in the South West, the company is already expanding into the Midlands and further into the North with plans to help more farmers secure funds. The minimum sum that can be invested or borrowed is £25,000 but average loans are currently at £250,000. “Rural investors are looking to invest significant amounts of money and in return they get an interest rate of 6.5 per cent,” Mr Waterfield said. Borrowers pay an interest rate of 7.5 per cent, with 1 per cent going to Folk2Folk. Lenders are looking to lend up to 60 per cent of the forced sale value of the land and property – usually about 40 per cent of the market value. With increasing emphasis being placed on managing costs to improve profitability, a farmer’s son from south Norfolk has launched a price comparison site for farm inputs. Yagro founder Daniel Jolly says increased visibility of outgoings is a cornerstone of a successful, profitable business. “It’s very surprising how much farmers focus on volume with less focus on costs,” he said. Farmers can compare prices of chemicals, fertilisers, fuel, feed, seed and lubricants. Search results provide a quote from a number of suppliers, along with a delivery date. To emphasise the difference between enterprises in controlling costs, Mr Jolly added that the top-performing 25 per cent of arable farms made a profit of £71/ha (£29/acre) in 2015, while the average arable farm made a loss of £296/ha (£120/acre).